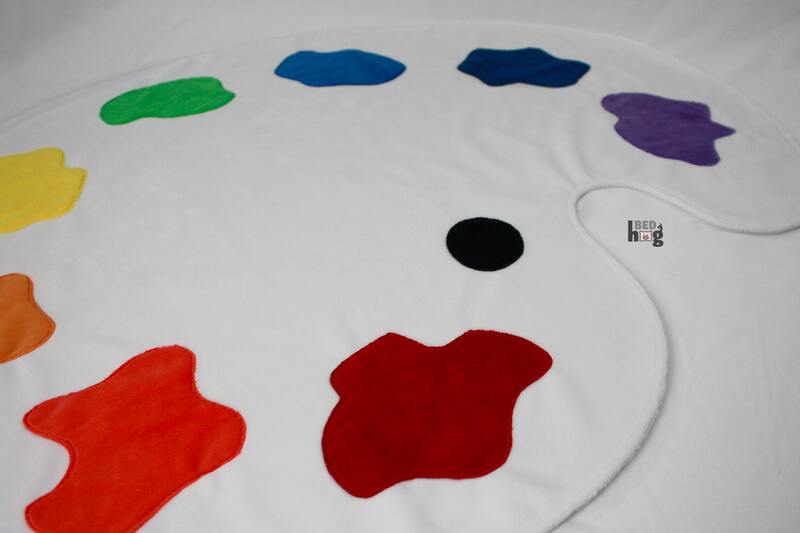 This blanket is not only soft and snuggly but is an excellent learning experience! 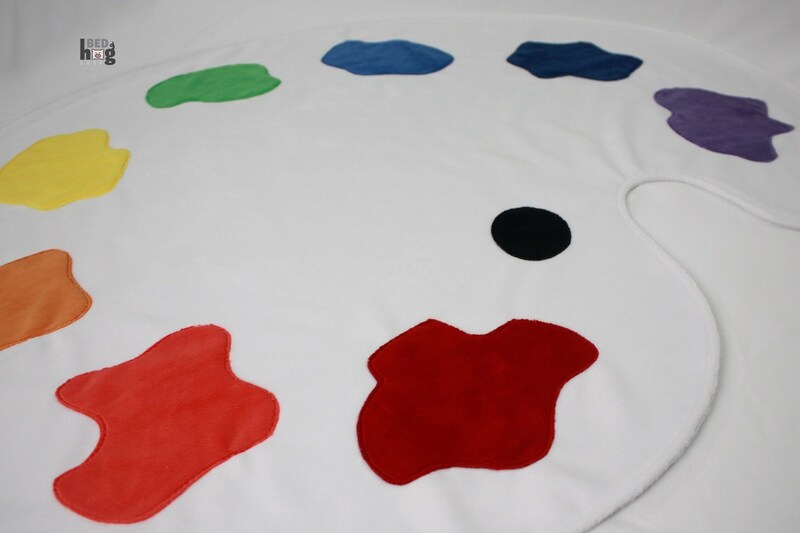 The expanded rainbow variety of color in this blanket will keep snuggling educational and fun. 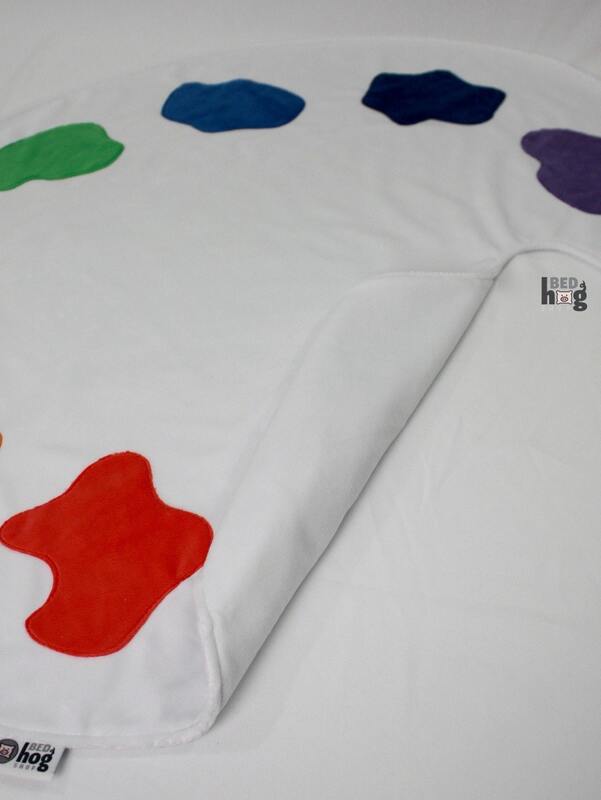 From curve to curve, this shaped blanket measures 26" x 36", perfect for snuggling baby! 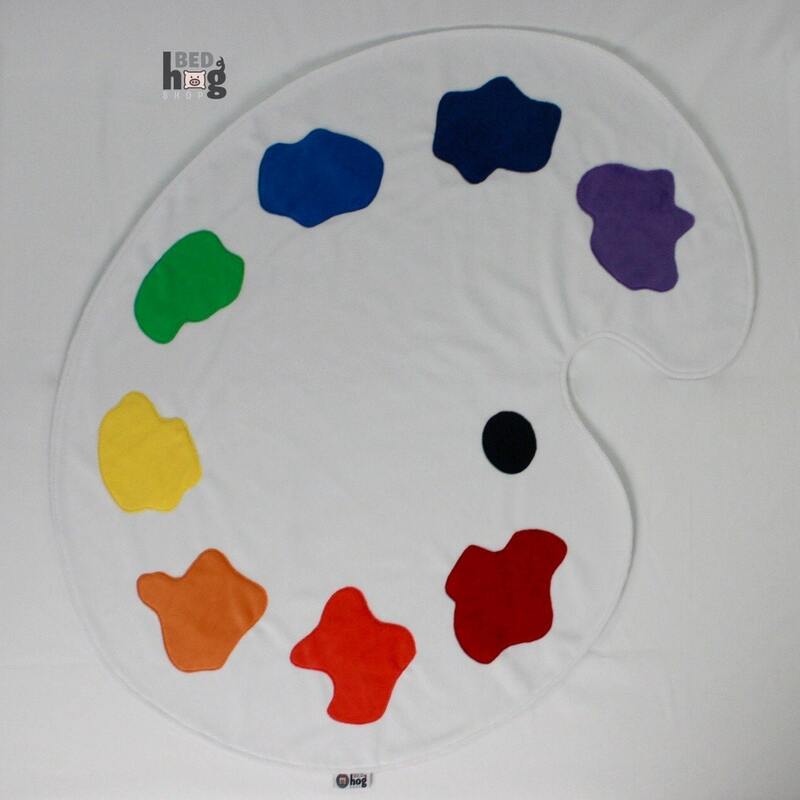 Appliqué paint daubs on white with the underside of the palette as the same velvety soft white minky.